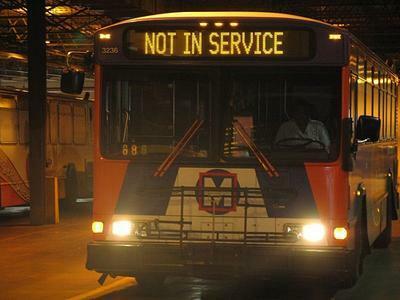 The Metro Board of Commissioners announced today that they have passed their operating budget for fiscal year 2012, which begins July 1. Metro's operating costs will be significantly impacted by higher fuel costs and the "volatility" of metal prices for parts and supplies Metro said in a release. Today's approved budget also includes provisions for capital projects and renovation or rehabilitation of existing Metro facilities, equipment and infrastructure. Included in those capital projects is a new Scott Avenue Transit Plaza at the Grand MetroLink Station. U.S. Senator Claire McCaskill also announced today that the Department of Transportation and the Federal Transit Administration will be providing $5 million in federal grant funding to the state of Missouri - some of which will be used to aid in the replacement of nine buses in St. Louis.